The much awaited phone of the year, the Samsung Galaxy S4 unveiled by Samsung at New York. The Samsung Galaxy S4 has 5-inch 1080p Super AMOLED screen covered with Gorilla Glass 3, Exynos 5 Octa or Snapdragon processor (depends on region), 2 GB of RAM, 13 MP Rear camera and 2 MP front camera. The Galaxy S4 is slimmer yet strong. It weights just 130g and 7.9 mm slim. The S4 is built using Polycarbonate plastic. The Galaxy S4 equipped with 13 MP rear camera and 2 MP front camera. The S4 boasts a ‘Dual Camera’ function that allows simultaneous use of both front and rear cameras. When capturing moments, users can choose from a variety of frame effects which blend the two pictures naturally and also adjust the size of the small picture inside the big one. Users can select 8 different ways to combine the two photos taken by the front camera and the rear camera. At the same time, the ‘Dual Video Call’ function enables you to make and receive a video call with friends and family while showing what you are looking at during the call. The camera has 12 different modes including new ‘Drama Shot’ which allows you to see all the action in one continuous time-lapse, and ‘Sound & Shot’, which uniquely stores sound and voice together as the picture is taken so those special moments are captured in the truest form imaginable, exactly as they happened. Another awesome feature is ‘S Translator’ which provides instant translation, using text or voice translation on applications including email, text message and ChatON. This instant translation is possible both from speech to text and text to speech and ensures that you can rely on the correct information whilst abroad. Samsung Smart Pause – It enables you to control the screen from where you look. When you are watching a video, the video pauses when you look away then it starts right up again when you are back. Samsung Smart Scroll – It allows you to scroll the browser or emails up and down without touching the screen. It recognizes your face looking at the screen and movement of your wrist and then scroll the pages up or down accordingly. 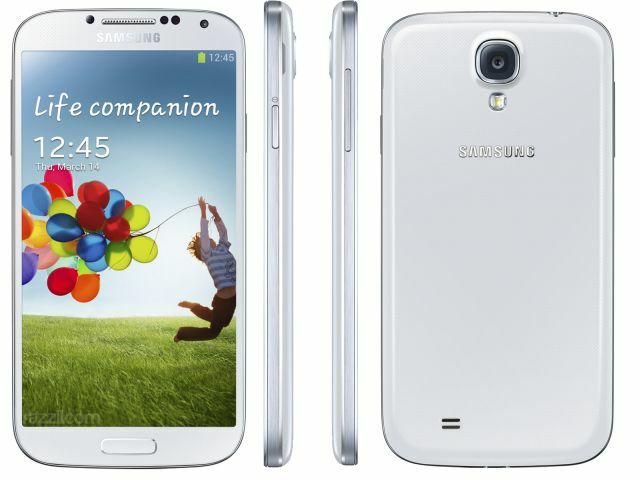 Samsung Galaxy S4 will be available from the end of April and will run on Android 4.2.2 Jelly Bean. The GALAXY S 4 supports HSPA＋42 Mbps and 4G LTE.